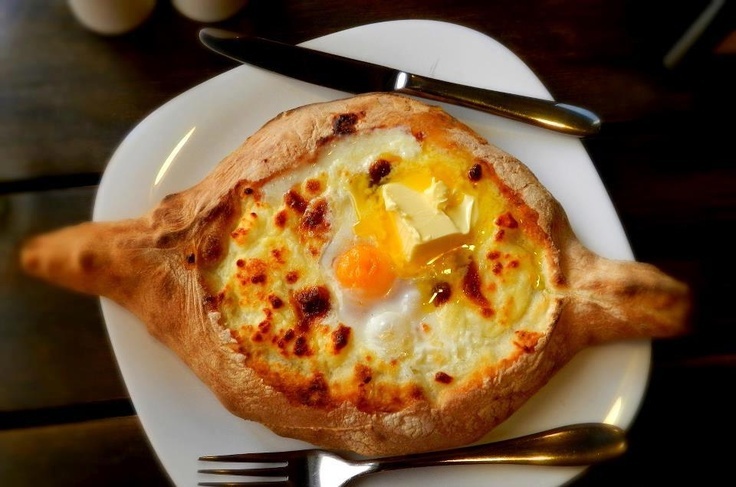 Filled with melted cheese and topped with a runny egg. Lobiani is a traditional Georgian dish of bean-filled bread with fresh onion, garlic, parsley, coriander, pepper and spice mix inside. 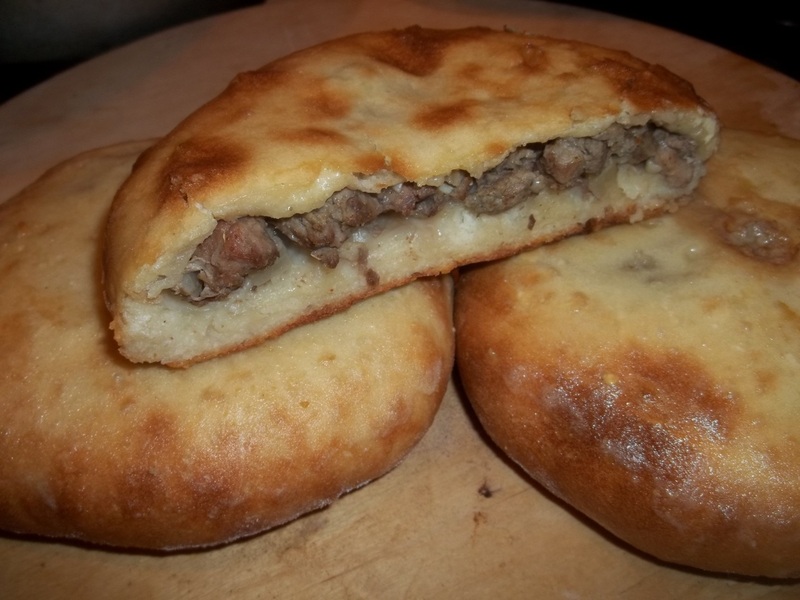 Original recipe (so called khevsuruly) consisted only minced meat (lamb or beef and pork mixed), onions, chili pepper, salt and cumin..
White and yellow cheese baked into french dough. Fresh guava juice with orange and mango, our new favorite drink.